Red Sky at Morning is a five-block print I just finished, printed from poplar wood, 5″ x 5″, on Somerset paper. It was a little bit trickier to print than I thought; the hills and sky were touchy in terms of value and how the colors printed when layered on top of each other. I guess it’s always a learning process. 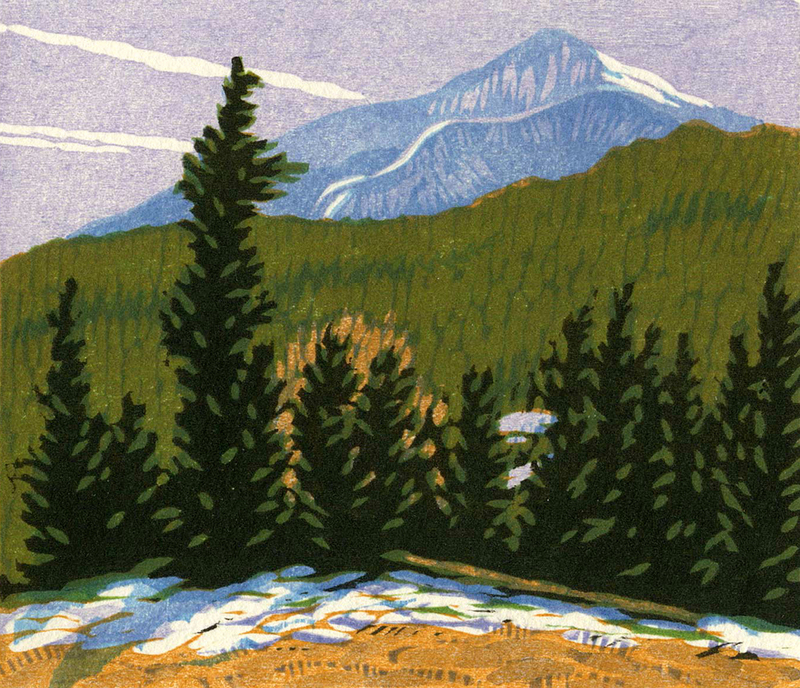 This is a two block reduction woodblock print of the Gallatin River in Montana. It’s another view from about the same place along the river where I’ve done several prints.